An analysis or summary of something by a knowledgeable person - and me. 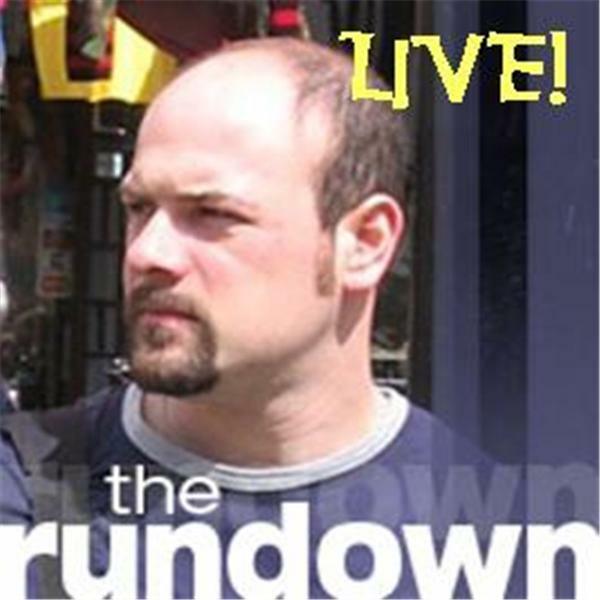 This is the live home of The Rundown, where we give and get The Rundown on social media, public relations and the online world of communication. Live from the Social Media Boot Camp with Sage Lewis, Social media guru, Search Engine Optimization expert, and founder and president of SageRock.com, one of the top 10 search marketing firms in the U.S. according to the original edition of Marketing Sherpa's Search Marketing Buyer's Guide. Live from the Social Media Boot Camp with Stephen Shannon, Executive Vice President, Sales & Marketing at BurrellesLuce. Steven presented on Digital Copyright and we sat down for a little impromptu talk. Welcome from YouToo: Social Media Boot Camp and Leadership Summit hosted at Kent State by the Akron PRSA chapter as part of the professional development program. Tim Holmes, Director of Community Newspapers in Scranton, PA, gives me the Rundown on The Office Convention, the three-day fan fest dedicated to NBC's The Office held in - where else? - Scranton, PA. Other special guests, too. Kami Huyse, PR Professional, PR blogger at Communication Overtones and Social Media Measurement Seeker gives me the Rundown. Jeremy Pepper, PR blogger and professional joins me to riff on the PR industry and fills me in on his new gig at The Point, a social platform for people to solve problems they can’t solve alone. Bryan Person, social media advocate, host of New Comm Road podcast, author of the bryper.com blog joins Luke to give him the rundown on social media in Boston - including Podcamp Boston II. Erin Caldwell, AE at Edelman PR and Managing Editor of the Forward Blog (http://www.forward-moving.com/) drops in to give Luke the rundown on blogger relations and how social media put her on the map.